The 5H names comes from the five of us in the Hemphill family. Our oldest daughter designed our logo, and all three of our kids have an interest in our business in one way or another. We have two beautiful daughters and one handsome son. Together we are a family operated business through and through. 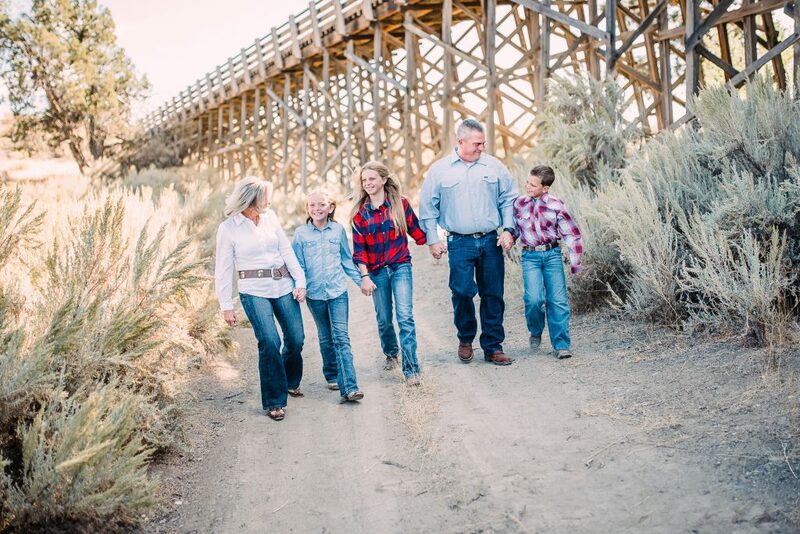 5H Construction has been in Central Oregon since 1995, and as a typical Central Oregon family we enjoy riding horses, camping, hiking, biking, snow shoeing, kayaking and rock climbing…you name it! We love where we live and we admire all that our community has to offer us. Our construction experts look forward to meeting with you about your project and taking care of your vision, your requests and of course your schedule all along the way towards a complete and satisfactory job. Email us at info@5hconstruction.com to set up an appointment. As part of our commitment to great service, we schedule free follow-up meetings at six months and one year after project completion. If at any time something doesn’t seem right to you, please contact us, and we will take a look right away. We take pride in our professionalism and we stand behind our work. 5H Construction is licensed, bonded and insured in the State of Oregon and Idaho.